The proposed changes to water law could allow Wyoming to “bank” Green River water for the purpose of meeting obligations to downstream states, and in doing so keep the state’s water users from running dry in the event of a shortage. 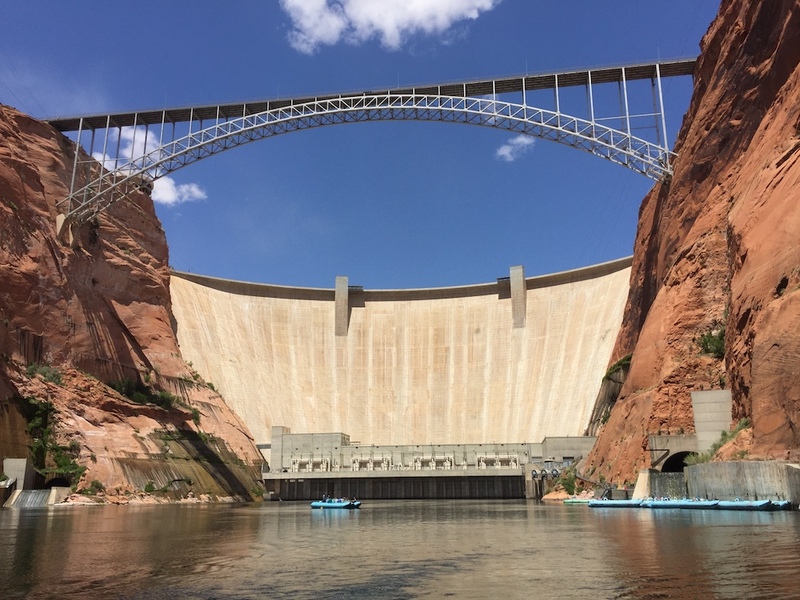 Lawmakers on two legislative committees were briefed recently of looming disruption in the Colorado River Basin due to drought and growing demand. The 1922 Colorado River Compact that determines how the basin’s water is divided among seven western states and Mexico is based on overly rosy assumptions of flows. With Lake Powell at 43 percent of capacity and falling, water managers are nervous. They fear cascading events that could limit water use, curtail power generation, reduce critical electricity revenue and jeopardize endangered species in the region where 40 million people depend on Colorado River Basin water. 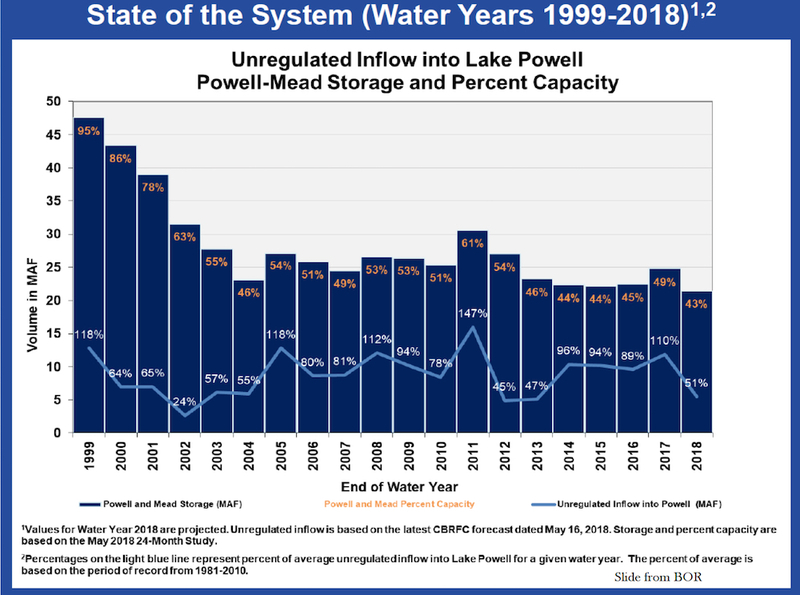 Flows into Lake Powell in 2018 are expected to be 51 percent of normal and a “structural deficit” is causing Lake Mead to fall at a rate of about 12 feet a year. That’s the message Wyoming State Engineer Pat Tyrrell gave the committees June 18 in Pinedale. “If critical elevations are breached, the system faces threats to [its] ability to control [its] own destiny – Compact compliance, irrigation, drinking water supply, power production, environmental resource preservation and overall sustainability,” his presentation said. Lawmakers voted, without dissent, to draft a bill that would make water banking in Wyoming a beneficial use for contract obligations and drought contingency. The Agriculture, State and Public Lands and Water Resources Committee wants to consider a draft at its next meeting in September. Sen. Larry Hicks, co-chairman of the joint Agriculture Committee, built a case for legislation and water storage over the course of an orchestrated day-long session. 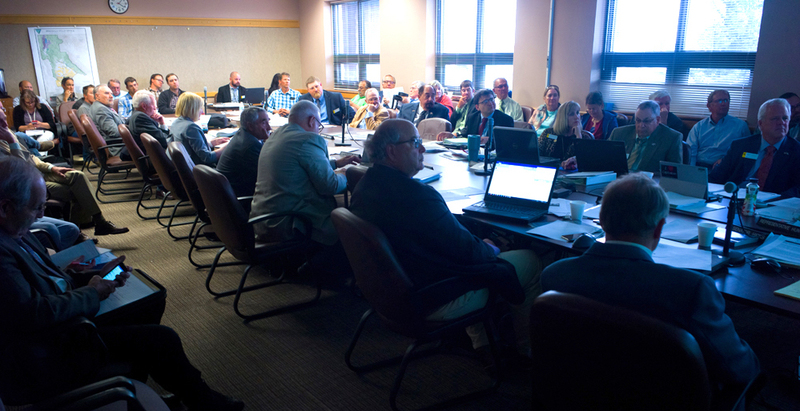 Experts told members of Hicks’ Ag committee and members of the Select Water Committee about Wyoming’s obligations to let some Green River water run downstream and opportunities to preserve and use Wyoming’s allocated share of flows. The 1922 Colorado River Compact was forged “to provide for the equitable division and apportionment” of the basin’s water, according to the Compact. Wyoming has both entitlements and obligations under the framework. If the ten year running average of flows at Lees Ferry drops below the guaranteed minimums regulators could require upper-basin states to send water downstream. If the upstream states don’t have it to send, they’ll have to curtail their use. In Wyoming, that would affect irrigators, municipalities and industrial users from Cora to Kemmerer and beyond. Today Wyoming can’t just store water for a non-rainy day and can’t set it aside in case of a downstream call. Upper basin states can’t withhold water they can’t “reasonably put to use,” engineer Tyrrell said. And under current law, water banking doesn’t qualify. “If we’re not using it,” Tyrrell said, “it becomes system water,” available to downstream users with no credit given toward Wyoming’s balance sheet. “A state is not allowed to withhold water it doesn’t have the ability to use,” Harry LaBonde, director of the Wyoming Water Development Office, said in an interview. Even if ranchers voluntarily give up part of a season of irrigation — as some have done in a pilot conservation program — Wyoming can’t get credit for those savings. There is no way to “shepherd” those flows to Lake Powell to be made available to help meet the upper states’ obligations. Wyoming would like such a system. Conserved Wyoming water, “it ought to have a bucking bronco on it,” Tyrrell said. A water bank bill could make water that’s conserved for contract security and drought mitigation a beneficial use. LaBonde cautioned against speculating what a bill might contain. But he outlined what could happen to conserved water. “It could be stored in Fontenelle [Reservoir], under our accounts we have,” he said in an interview. “Wyoming would be reserving that water for whatever purpose would come forward. To shepherd conserved water to Lake Powell with Wyoming’s brand on it would require action by the Upper Colorado River Commission, the four-state water regulating body, and legislation in Colorado and Utah, he said. While lawmakers in Pinedale were agreed, in theory, upon the import of water banking, the devil remains in the details. The definitions and rules of water banking are still to be determined. Perhaps the only thing that’s certain is that they’ll be the subject of great attention and debate. Oregon State University graduate student Sarah Brennan researched water banking legislation in 19 Western states for a 2018 master of science thesis. She found the most references —139 — in Arizona. Her research showed no Wyoming bills or laws from 2001 to 2016 that contained water banking terms. One method of water banking has been described as “a voluntary, market-based tool that could facilitate water transactions between willing sellers and buyers.” Jon Stavney, former president of the west-slope Colorado River Water Conservation District, used that description in an essay published on the district’s website. “Water right owners, who are willing to free up some of their water in a particularly dry year or years, would temporarily lease it to those who simply can’t afford to be without water. 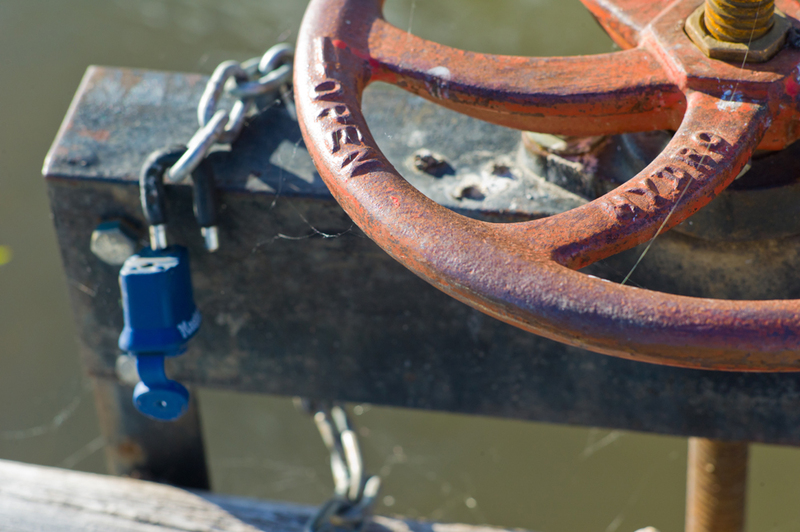 “It may … enable agricultural water right owners to realize the value of their senior rights without outright selling those rights,” Stavney wrote. Such banking might be better than the “buy-and-dry” alternative in which water-starved municipalities buy an entire ranch and let it go fallow just to get water rights. Water banking could allow an irrigator to sell only a portion of his or her allocation, keeping an agricultural operation intact. In 2010, basin water users for the first time consumed more water than the system provided, Larry MacDonnell, senior fellow, Getches-Wilkinson Center, University of Colorado told the committees. Troubles lurk downstream. Colorado’s dry Front Range — east of the Continental Divide and outside the basin — could grow from 5 million to 8 million residents. Transbasin diversions from the Colorado could increase, Kuhn said. There are other potential problems, as well. Lake Powell generates electricity that’s an essential element of the elaborate western water collection and distribution system. The minimum pool elevation for power generation is at the 3,490 foot elevation. Generation is curtailed even before water drains to that level. A drought like the one between 2001 and 2006 could drain the reservoir to that minimum-power-generation level in 2.5 years, Tyrrell told the committees. Powell generators create 75 percent to 80 percent of hydro-electric power derived in the basin and revenues from power sales fund the operations, maintenance and replacement work for compact storage projects in the upper basin, said Don Ostler, executive director of the Upper Colorado River Commission. Hydro-electric power revenues also pay for Endangered Species Act obligations. Without the Powell electricity revenue, the system “probably wouldn’t be able to operate in full compliance,” with environmental laws and other obligations, he said. Wyoming gets more than $24 million of that revenue annually, water development director LaBonde said. Wyoming’s Water Development Office seeks to accomplish Gov. Matt Mead’s 10-in-10 program to create 10 storage projects in a decade, with several planned in the upper Green River Basin. Stored water is critical to industry, said John Cora, a representative of the soda ash industry who said operators in southwest Wyoming contribute $115 million annually to state in taxes and have a $350 million payroll. Wyoming has invested $55.3 million in the Green River Basin industrial, recreation and municipal water projects, Hicks said. Lawmakers have earmarked some mineral revenues and added additional money to water development funds to turn a one-time resource into a renewable one. “But the Legislature raided earmarked water money,” Hicks said. Funds remain, including some $60 million in construction money. Wyoming water developers are eying six major Colorado River Basin projects that could cost more than $130 million and impound up to 125,500 acre feet. Projects include the rehabilitation of Middle Piney Reservoir, enlargement of Big Sandy Reservoir and a plan to enable draining New Fork Lake by an additional seven feet. Developers would upgrade Fontenelle Reservoir to access an additional 80,000 acre feet, rehabilitate Silver Lake Reservoir in a Forest Service wilderness area, and build an $80-million dam on the West Fork Battle Creek in the Little Snake River drainage near Baggs. In Uinta County, Meeks Cabin and Stateline reservoirs would be enlarged. LaBonde said the $12 million Middle Piney Dam rehabilitation, which would create up to 4,200 acre feet, is the first project on Gov. Matt Mead’s 10-in-10 program. Big Sandy enlargement is second and the West Fork dam is number five. Wyoming water developers have passed on another opportunity — expanding the Viva Naughton Reservoir on the Hams Fork of the Green River. Located near Kemmerer, it would have supplied irrigators. But irrigators will instead buy rights from an industrial user. That’s because Pacific Power and Light recently announced it would be shutting down one of three coal-fired generating units at its Naughton Plant outside Kemmerer, possibly converting it to natural gas. In any case, the closing and potential conversion would free up water for irrigation that’s currently impounded in Viva Naughton for the power plant. As Wyoming moves to impound more water, a pilot conservation program among irrigators and others has produced success and controversy. 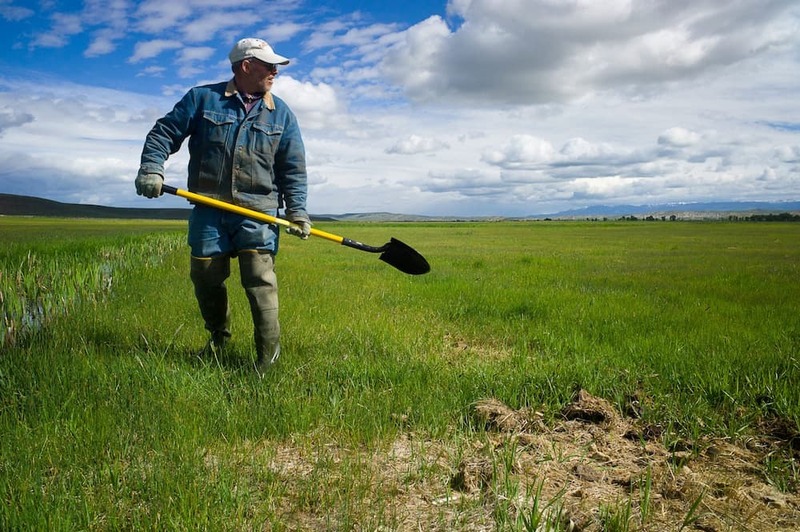 Most program participants don’t flood their fields in late season — basically after they cut hay — instead agreeing to leave that water in the stream in return for cash. “They decided they would take the money and not irrigate,” state engineer Tyrrell told the committees. In some instances, irrigators along an entire tributary are involved. That gets that water to the main stem of the Green River, Tyrrell said. If water banking were considered a beneficial use, that conserved amount would be stored and credited to Wyoming for potential release to meet downstream obligations in a drought. Through 2017, Wyoming received 40 applications and implemented 18 projects. By the end of 2018, $4 million will have been paid to irrigators and 24,205 acre feet conserved, according to Tyrrell’s presentation. Money comes from downstream municipal districts. The amount of water conserved in the pilot program is “not enough in one year to make a difference,” upper basin commission director Ostler said. It would take more money and years “to make a significant difference,” he said. “A lot more would be required for a large-scale program,” he said. “You have to plan several years in advance.” Plus, there’s the banking issue. “We’re going to have to have some way to store and bank the water,” he told lawmakers. There’s no jeopardy to irrigators’ rights when they forego water diversions under the program, he said. Those seeking to reduce diversions are “missing the point,” Baggs-area rancher Pat O’Toole told the committees. There’s a connection between flood irrigation and river health, he said, as irrigation water flows back to “recharge” a waterway. “We see it going in the ground, percolating back into the river,” he said. Such percolation help ensure the health of migratory birds and keep them off the list of endangered species, he said. There should be a “sacred water” category for such flows, he said. Although the pilot program won’t be continued after this year, it has proved there’s a market among irrigators and that conservation won’t put them out of business. Wyoming faces not only downstream users but environmental advocates as well. In Fort Collins, a group called Save the Colorado has vowed to fight every new diversion and impoundment in the basin. 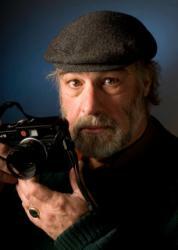 Gary Wockner, the group’s president, said all entities are in a gold rush. “Everybody’s trying to get while they can still get,” he told WyoFile. He recently criticized a proposal near Aspen to store and bank diverted surface water in an underground aquifer. While developers say the plan would preclude the need to inundate wetlands with a reservoir, creeks still would be dewatered and damaged, Wockner said. Rancher O’Toole criticized development critics like Wockner who say water belongs in the riverbed for environmental and other reasons. This story was corrected June 26 to delete the names of two groups who were wrongly listed as financial contributors to the pilot conservation program — Ed. If Arizona can bank water, why not Wyoming for Wyoming’s use? A better location for a water bank is Warren Bridge with hydroelectricity built in for sale and repayment to offset construction costs. That would be a great Wyoming water bank location, better than the pipe dream Little Snake reservoir on Battle Creek or the prone-to-leak Fontenelle reservoir. I like the idea of bringing back the beavers. That’s significantly better free labor than for profit prisons. Wyoming policymakers are notorious for ignoring the 700 lb. gorillas in the room when vital discussions are happening. In the case of ” banking ” water and other water conservation measures, they are ignoring a 50 lb. amphibious rodent. Beavers. Instead of talking about building $ 75 million dams , our policymakers should seriously consider reinstalling Beavers in the riparian zones. One of the most heinous transgressions that happened as the American West was opened up came early on in the 1800’s. Fur trappers all but wiped out indigenous beavers so that the upper crust of the US East Coast and Old Wolrd Europe could have stylish hats. By nearly extincting the North American Beavers west of the 100th meridian , the entirety of the watersheds at the vital middle elevations were dramatically altered , too often tragically. Restoration of beavers to Wyoming and elsewhere in the West cannot happen soon enough. Besides, Castor canadensis works for free 24/7/365. Beavers have gotten a very bad rap in more modern times disproportionate to the damage they do, but beavers can and should be managed , not killed. We need them . They long ago perfected the natural system of water management that results in pooled storage, water table stability, spring runoff and flood management, filtering . And after all that is up and running, the entire riparian ecosystem reaps huge benefits and biome habitat improves for everything from microscopic organisms to large herds of elk and deer. I would tell the policymakers and water barons to not consider more of those those dubious costly dams without also considering restoring beaver populations. Leave it to beaver, not bureaucrats. One thing we know for sure is when the lawsuits begin, a bunch of Lawyers will get rich.